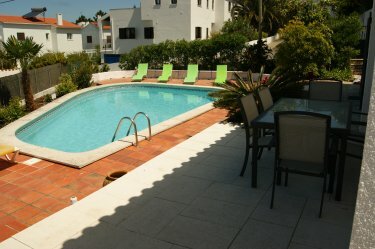 Casa Pinhal is an attractive, privately owned villa with swimming pool near to the unspoilt seaside village of Foz de Arelho on the Costa da Prata, on Portugal's unspoilt west coast, about an hour's drive north of Lisbon and just 30 minutes from Peniche and the Praia del Ray golf courses. 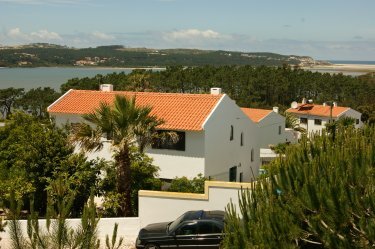 The large villa has its own private swimming pool set in a colourful garden and is located in a quiet residential development surrounded by pine and eucalyptus woodland on the slopes overlooking �bidos Lagoon, with views to the Atlantic. We are now pleased to offer free wifi. 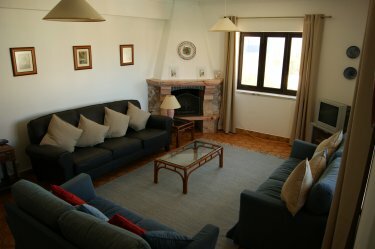 The spacious villa has a sitting room, separate dining area and a fully fitted kitchen. There are a total of 4 double bedrooms: 2 twin bedded rooms and 2 double bedrooms. The villa also has 3 bathrooms, 1 en suite. The master suite features a large west-facing sun terrace overlooking the swimming pool and with wonderful views. On the ground floor, the sitting room has a feature marble open fireplace, and connects to the open plan kitchen which is fully equipped with a refrigerator, gas and electric hob with electric oven, washing machine and a dishwasher. 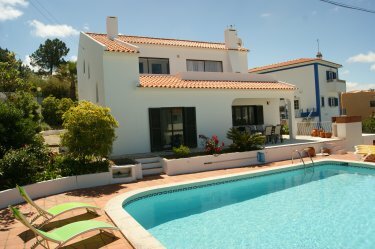 Upstairs, the villa has a sunroom with full length sliding patio doors opening onto the sun terrace with a built in barbecue. Our property management team of Kevin and Toni Ennis are on hand to ensure that everything goes smoothly on your holiday. Kevin and Toni are a British couple that have lived in the area for 16 years. They will be able to advise you on local restaurants, shopping and places to visit, as well as being available for any 'emergencies' that may arise.